With the release of iOS 10, many users have reported black screen problems. Users specifically say that their iOS devices become unresponsive and show a black screen with a spinning circle. If your iOS device (iPad or iPhone) experiences a black screen with the spinning wheel that does not go away after upgrading to iOS 10, here are some troubleshooting steps you can try to fix. Before you do anything, if you can, update your device to the latest version of iOS may fix this problem because Apple continuously releases new versions to address various bugs. You can do this wirelessly by going to Settings > General > Software Update. iPhone 7 and iPhone 7 Plus: press and hold both the Power (sleep/wake) and Volume Down buttons until you see the Apple logo. iPhone 6s and earlier models and all iPad models: Press and hold both the Power (sleep/wake) and Home buttons until you see the Apple logo. If force restart does not work (your iDevice still does not respond), try this. Following these steps will put your device into recovery mode that may fix your issue. Try to back up your device. Some users stated that this black screen goes away after 5-10 seconds. If your problem is like that, back up your device via iCloud by going to Settings > iCloud > Backup > Backup Now. Connect your device to your computer, Mac (macOS) or PC (Windows). You will see an alert message. Simply choose Update. Now iTunes will update your device. What a relief! This worked for me! Great information! What should I do? Should I restore? Holding power and home on my iPhone 6 worked! Thank you! Just tried this on my iPhone 7 while it was stuck on spinning wheel – power and volume button trick worked. This worked for me too! It was stuck on spinning for an hour and it finally worked. This actually worked! Thanks for the tips! how long did you have to hold it for? Awesome ! Worked for my iPhone 7 …. Held it down until I finally got the apple sign, about 2 minutes. This really worked for my iPhone 7, holding down the vulume and power buttons! Thank you for this it’s been stuck for hours! Does anyone one know why it does this? I recently upgraded to an iPhone 7 and I was just importing a PDF from my iCloud to the Books app when it just froze up and went to this? Anyone got any leads? Other than that, the solution worked like a charm. No need to restore. Did not work on my iPhone 7.
its been stuck on the apple logo for about ten minutes, is this normal? Is it normal? Mine is stuck there too. mine was stuck all day it worked once i finally got a computer to find out how to fix this and it worked! If its stuck on the apple logo its a different issua, usually a little worse. Not easily fixed and the attempts to fix it is usually the same as with the loading circle. wait till battery dies and plug it in, if it doesnt work then try and restore it through yoour PC. my old phone did that and I had to get a new phone and a month later, my new phone starts acting up. Mine didn’t work, did it two restores but still comes back with the spinning wheel, getting a new device but have to wait a further month! ??? Its literally ridiculous how a company can produce so many faulty products and still have very poor customer service. If you have a password then why does it say put i9n the password knowing you can’t use the phone. Any answers?? Awesome! Worked like a charm. Thank you!! Absolutely nothing works.The iphone 6 was replacement from apple,never used,just sitting in my closet,i needed it few days ago and then i charged it and never was able to see normal screen again,just the apple logo and spinning wheel for few seconds.Or it goes to “connect to itunes” and then nothing happens,it does want to update,goes back to apple logo and the spinning wheel. This worked! Thank you so much for this! This has happened on my iPad and has been like it all day. My home button doesn’t work and hasn’t for about a year so can’t restart. What do I do? So my iPhone 6 Plus does the black screen and spinning wheel for a few seconds randomly when I’m using it. Then it returns to the home screen. Thoughts? Mine does the same, it’s completely random. It’s fine and then all of the sudden, it goes black with that spinning wheel. Mine does the same thing. What worked for you? Did you find a solution? Mine did the same. And at one point, this happened while I closed the messages app, when it started again all my messages have disappeared and now I don’t receive any new messages. But my storage shows I have 1.5 GB of messages stored. I had tried the reset combination with power and home multiple times. No go. Force restart didn’t work as well. Thankfully, I stumbled into this post and tried the “recovery mode” option. It took about 30 minutes for the whole restore, but thankfully, it worked after that. I’m good to go!!! my power button is broken, is there any other solution? how do you even turn your phone on??? Thank you so much!!!!!! I just got my phone for my birthday and i thought i did something wrong. This worked really fast for me. Although i have no idea why it did that. Thank you sooooooo much for sharing. It worked. did you lose any information on your phone? Thank you so much! Recovery mode worked. im having the exact same problem only my lock button doesnt work, any ideas??? Perfection!!!! Thank you! I use my phone for personal and work, my work involves emergency response and my 6s was down for over a half hour! This was perfect once I calmed down long enough to read and follow instructions! Thanks so much!!!! Thanks you saved my life. Thank you. Finally worked when I held in the power and down volume buttons. Thank you so very much! It worked! many thanks worked a treat happy Jan! Thank you! This really did work, as others noted, once I calmed down long enough to read the instructions fully. Again, many thanks for the help! Pushing the power and home button worked – thank you so much? Wow thanks it worked on my 6plus. But does anyone know what caused it to do that to begin with? My iPhone is stuck on black laoding screen, i have an iPhone 6 pluss but my homebutton is broken.. What do i do? I’m helpless with out my husbands help with my tech issues. He was busy and I found this site and just followed your step for forced start for IPhone 6. Worked within a few minutes. Still haven’t tried doing the update through ITunes, I will be forced to if problem reoccurs. IT actually worked.? Thank you. How do I restart 5c – when the top of screen sleep/lock button is broken? was a total freeze first while I was checking emails. I went to my desk computer and just entered on google search engine “IPhone 6 Plus with the black screen and white spinning thing” and first entry was this site. Pressed and held the buttons and the white Apple appeared. Then pressing the buttons again and the “enter password page” appeared. Entered the password and I was back in business. Total time from search to normal was about 5 minutes. Oh my god thank you! I was playing on my phone and watching random videos, (as I do), and all of a sudden the screen froze the picture on it. And after a minute or so it just went totally black with a loading sign rotating in a circle on it. So I just figured I would play on another device until it went back to normal but it never went back. After 30 minutes of staring at my phone and sending it messages and trying to turn it off nothing was working. Thank god for this info! I just did the force restart and now everything is back to normal! I am having this problem only my home button doesn’t work…what do it do? tried every combo of trying to force restart it. Also when i plug my phone in iTunes comes up but then tells me to allow the computer access i have to click it on my phone, which i clearly can not do.. any suggestions ? Wait till your phone btry finish , and then recharge back your phone . And it will be like normal . thanks so much!!! This troubleshooting solved my problem, especially step 4 (the first item). thumbs up! MAN !! thx for this great info, my iPhone 7 plus got stuck showing the spinning wheel for almost 7 hrs, this solved it, many thanks ! Thank you. Step 4 did the trick for me (I have a 5C) and this was the first time I’d seen the ‘spinning wheel’. Thank you, the 1st step worked for me. A reliable article, kudos to the author! Tried all these suggestions to no avail. Any other ideas? What if your power button is broken? This also worked for me – thank you very much! It saved me heaps of heartache. OMG This just saved my life! I thought my phone was a broken! My sleep/power off button is broken, my iPhone 5 froze out of nowhere when I was closing multiple apps and then after about 1 minute it glitched into the black ‘spinning wheel’ screen and has been for about 3 hours. I’ve tried all of the above fixes but due to my broken sleep/power button none have been successful someone please help. Should I let my battery die? Or is there any alternative fixes? My heart stopped for abit when the circle of death appeared. THANKS!!!! Forced restart worked for iPhone 6, thank you!!! Worked like a charm for my iPhone 7! Thank you!! Omgg!! Thank God it worked!! Thank you so much! I was worried I needed a new phone! worked… Thanks a lot for the quick heal…. Forced restart worked on my iPhone 6s. Thank you. It is very odd the timing of the malfunction since the only app running was apple music. Brilliant… worked a charm on the iPhone 7. Thanks. It got me back into my phone but the News app is still frozen and checking on it meant I had to do the reset procedure again. Thank you so much! Your advice saved me!! I found it easier to just let it die! Then turn it back on! Awesome! It worked on the first try. This worked when my phone was stuck on spinning wheel, lets hope it does not happen again. Thank goodness my phone got stuck on the black screen with the circuit and I got really scared because I had a business meeting in 1 hour. Thanks this helped a lot. Thanks it helped me and worked for me. Started sudenly. I used the phone all day long and at night this problem happened. Thank you!!! This happens today with both iphone x and iphone 6s – they rolled an update this morning. You’re the bomb. What version they updated? It Works on tour iPhone alter That New update? I have a similar issue but my iPhone 7 plus keeps restarting itself!! I just get a back screen with the spinning wheel on it, then I get asked for the password, this happens every 25 seconds!! tried the different reset options, didn’t work! same goes here. this happened every 1 minute and asked for a password. What should I do? tried to force restart. but didn’t work for my iPhone 7 plus. I only see the recovery mode screen..and nothing happens. Not received any alert message from iTunes. This fixed my phone! Thank you so much! Now I’m trying to update my phone and keeps taking it to the black screen and its keeps loading and turns to my passcode but it doesn’t want to restart any help? I believe this problem is actually a way to force you to update. This is what happened to me. I have Automatic Updates turned off. There were major battery issues with iOS 11, so I would like to stay with iOS 11.1. However, this is no longer being signed by apple. Now iOS 11.2 & 11.2.1 are available. Out of curiosity, I clicked on the “Software Update” just to see what the latest version was so I could check online. It said 11.2.1, then I exited to the homescreen. Now I have the recurring black screen + spinning wheel every 30 seconds. And my phone gets *really* hot, with no apps going, and in airplane mode! I have turned off/ restarted several times, but same things keeps happening. Guess I have to update. There seems to be no other choice. What to do if both volume buttons and sleep button are broken?? My iPhone 6s has been on spin mode for the past 5 hours, I don’t know why. I do have the latest update so this shouldn’t be happening. I’ve tried everything and nothing works. I am at the screen where it says to connect to itunes. I have launched itunes but it requires a verification code. The only way I can get my verification code is through my phone which is not working right now. I now live in Naples Italy and there isn’t an apple store anywhere near where I live. 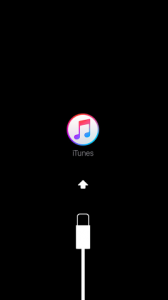 I made my phone pop up the iTunes connect screen and connected it to my computer, updated it, and it works now. Make sure your phone is properly updated because mine was behind by 4 IOS updates. It also hadn’t been backed up in over 2 months. Back up and update your phone ASAP. Hope this helps……. My 8plus has been stuck with a black screen and a loading symbol for 3 days now. Thanks. It works just by pressing the sleep + vol down button (Force Restart). I’m about to go to the far-away service center. Update: IPhone 8’s fix is clicking up volume, clicking down volume, then holding power button until phone comes back on. I learned this by calling 1-800-myiphone and they taught me the new reset for iPhone 8’s and up. Sincerely, someone who’s phone finally came back on after 36 hours of black screen with white loading symbol. Thank you so much! This worked for me when the other options would not! This is a new phone, so I can’t do recovery mode because I would have to put in my passcode to allow the computer to have access. The first option isn’t working, and I’ve tried so many times. Can anyone help??? I tried the various suggestions and finally decided to let the battery die. I was then able to charge my phone and it worked normally. It worked iPhone 5S power and home button got me back to the Apple screen. Now I will go and update my thank you very much. THANK YOU SO MUCH!!!!!! THIS HELPED ME BEYOND!!! !